Can flexibility help species avoid extinction? Bilal Habib is closely tracking the flight of a bird. Six times a day he gets its location, within a few hundred feet, through a GPS monitoring device attached to its body. One of the last members of its species, of which today less than 200 remain, this Great Indian Bustard is part of the latest effort to save its kind from joining the ranks of other extinct birds like the dodo and the passenger pigeon. Locally known as “Maaldhok” or ‘’Yerbhoot” or “Ghorad,” the Great Indian Bustard (Ardeotis nigriceps) was a relatively common sight five decades ago in the semi-arid regions and crop fields across parts of Central and Western India. “The Bustard is a very difficult species, since like most birds of arid and semi-arid regions, they move around a lot to better pastures, because rainfall is not uniform in all areas,” says Asad Rahmani, director of the 130-year-old Bombay Natural History Society who has been actively campaigning for the conservation of the Great Indian Bustard for over three decades. 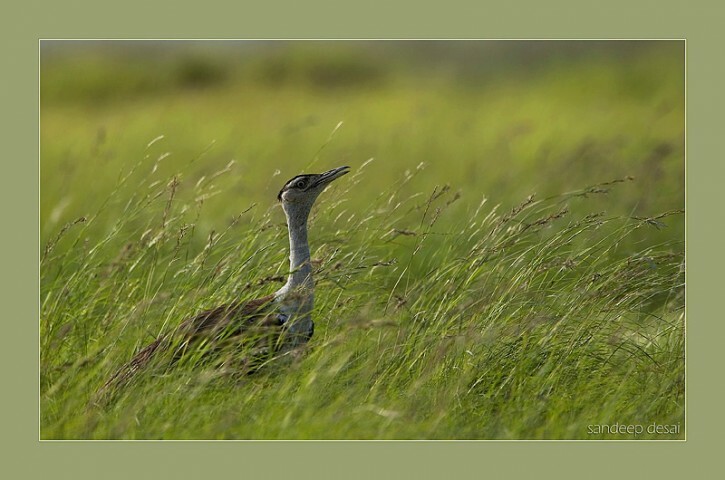 “If they stick to one area, they have an innate tendency to move for newer pastures, more suitable habitats,” added Rahmani who had also authored a report ‘Need to start Project Bustards’ in 2006. The species has been dwindling in number for a long time, despite having designated sanctuaries across the country, with a few of these sanctuaries being bereft of even a single Bustard today. “Sometimes such sanctuaries are not useful for particular species. There is a need to take a drastically different approach, which most people don’t understand” says Rahmani. One of the challenges in protecting this species has been the fact that it is generally found in grasslands and farmlands, areas that are difficult to designate as protected areas due to their economic importance. Large-scale agriculture and destruction of grasslands by overgrazing along with hunting in certain areas threatened the species, prompting BirdLife International to declare it as a critically endangered species in 2011. Wildlife tracking using satellites has been available for almost two decades now, and has been used for other endangered birds in India like the bar-headed goose or black-necked cranes. However, this is the first time that it will be used for a critically endangered species in India. The solar powered transmitter on the GPS tracker attached to this Great Indian Bustard has the potential to send back valuable information for the next three to four years. “Through this project, more information about the migratory patterns of the bird can be ascertained, which can then be used in its conservation,” says Habib. The Great Indian Bustard is one of the four species of bustards found in India, all of which are dwindling in number. It is quite sad that this was the same species under consideration for the status of India’s national bird when the topic was up for consideration in the 1960s. The title eventually went to the prettier and commonly found peacock. Lack of media attention or government apathy toward conserving this large bird, as compared to the case of the Bengal Tiger or the Asian Elephant, is largely blamed for the current dire state. Editor’s note: This post is the final in a mini-series in which Scienceline reporters write on location from around the globe during winter break. See related posts for a story on a pig farm on a pristine river in Arkansas and a look at how climate change will affect London’s most famous river. This publish truly made my day. You can not consider just how much time I had spent for this information! Thanks!